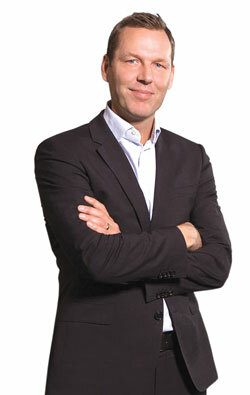 Johan Dennelind is the CEO of TeliaSonera, the Swedish-Finnish parent company of Ncell in Nepal. Dennilind is visiting Kathmandu next week and spoke to Nepali Times on telecom trends, privacy and transparency issues. Nepali Times: It has been five years since Ncell entered the Nepal market. How have international telecom trends changed in that period? Johan Dennelind: The desire for connectivity has grown dramatically. People increasingly want to be connected anytime and everywhere, even on top of Mt Everest. We have also witnessed drastic growth in mobile data usage, owing mainly to growth of social networks and availability of online video content, as well as machine-to-machine applications. Industry landscape is changing from voice to data, including voice over IP (applications like Skype, Viber, etc). 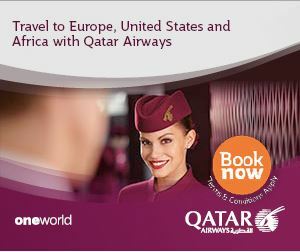 Mobile has firmly established itself as an indispensable part of our lives. Mobile navigation, ticketing and check-in, payments, medicine, and even mobile voting in elections have become a daily reality during the past few years. In order to meet the demand for capacity, mobile operators strengthen their networks with new technologies like 4G and even starting to talk about 5G. TeliaSonera was the first in the world to launch 4G in the capitals of Sweden and Norway in 2009. Today, we offer 4G services in all Nordic and Baltic countries, as well as in two countries in the Eurasian region – Azerbaijan and Moldova. Our 4G coverage in Estonia, one of the Baltic Sea countries, has been named the best in Europe. And how are these changes going to affect TeliaSonera’s operations in other parts of Asia in general and Nepal in particular? The key focus for all market players today is to secure the right opportunities for future growth. Therefore it is important for us to continue investing in infrastructure, in backbone, access network, applications, and of course in customer service. Providing more and smarter opportunities for communication makes us more attractive to the customer, while customer service excellence is going to be a major competitive advantage. These will be high focus areas for us in the coming years. We also have to be increasingly cost conscious and improve the efficiency of our products and processes, in order to stay competitive. 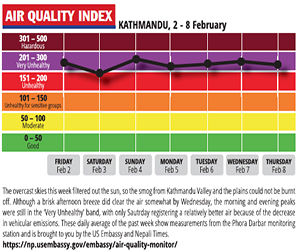 This is one of the reasons we invest in solar energy in Nepal to increase energy efficiency of our network. The complaint from many users in Nepal is that although the price of hardware has come down steadily, the data plans are still too expensive and bandwidth not satisfactory for smartphones. There is a major difference between hardware and mobile communication service. While producers are able to make their mobile devices smaller, thinner, and more efficient and their production process leaner, we operators have to expand our data pipes and increase capacity along with the growing consumer demand. Investments in infrastructure are bigger in scale than hardware investments. This is especially true in Nepal where insufficiency of electricity requires that infrastructure companies like Ncell install back-up generators and deploy alternative energy solutions to generate the electricity they plan to use dyring load-shedding and to store it on their own battery banks. However, the more users of our service, the cheaper it gets. In Eurasian region, including Nepal, our revenue per one gigabyte of data dropped by 30 per cent in 2013 compared to 2012, whereas data traffic in gigabytes has grown more than twice. This means prices are actually going down. Share of smartphones in Ncell network has reached 15 per cent, which is still low compared to European countries. Nevertheless we firmly believe in high potential of mobile data in Nepal and Ncell will engage in talks with NTA regarding bandwidth and technology neutrality. Technologically, neutral licences allowing operators the most efficient use of the allocated and scarce frequency resources is the best way to boost competition and to deliver advanced services to users in rural areas where digital divide is very obvious today. How does the growth of the Nepal telecom market compare with other countries where TeliaSonera has a presence? Nepal has the lowest mobile penetration among the countries where TeliaSonera operates, therefore subscription and revenue growth rates are generally higher here. The lack of efficient regulation processes for the industries hinder this growth and entrance of new technologies to the market. Let me again give you an example of Estonia, where having instant access to the internet has become a social right on its own, thanks to government’s vision. The country’s well-being is closely linked to development of ICT, which is reflected in one state body, the Ministry of Economic Affairs and Communications, overseeing both areas. As a result, Estonia is doing best in terms of economy out of the three Baltic Sea States, since gaining independence from the Soviet Union in early 1990’s. Government closely cooperates with the mobile companies working in the country, to increase its administrative efficiency through developing new mobile and electronic solutions. More than 90 per cent of Estonian citizens have an electronic ID card which allows them to perform all kinds of operations online, from birth registration to paying taxes and bills. Five years ago, Mobile ID was introduced, which enables secure authentication and digital signatures via mobile phone, eliminating the need for electronic ID-card reader and computer. People can sign documents, perform bank transactions, etc on the go, with their mobile phones. Of course, the population of Estonia is 20 times smaller than that of Nepal, but big changes start with small steps. Development of rules and regulations for the telecom industry in a dialogue with industry players would greatly contribute to Nepal government’s target of upgrading the country’s status to Developing Country by 2022. TeliaSonera has a very strict ethical code and a zero tolerance policy, yet the revelation in the Swedish media about your operations in Central Asia led to an investigation and the resignation of your predecessor. How has the company changed its internal procedures and policies? TeliaSonera has adopted a comprehensive sustainability program, embracing areas like risk management, supplier ethics, customer privacy, anti-corruption, etc. We have tightened up decision-making and reporting procedures in our operations. Daily operations must have clear values and rules, this is key. We have an anti-corruption and privacy policies in place, most recently adopted policy on freedom of expression and we are training all our 27,000 employees worldwide on our Group Code of Ethics and Conduct, so that they can act with confidence and knowledge of our ethical principles in dubious situations. Nepal has been ranked the least competitive in South Asia for foreign investors mainly because of the lack of transparency in governance. How does a company with such strict guidelines on business ethics function in a place like this? Nepal is a very attractive market for us to be in and the benefits our services bring to people outweigh the risks. We have established strong mechanisms for risk mitigation and governance. It’s a mutual journey for us and Nepal. We cannot solve all bottlenecks on our own though, especially when it comes to such sensitive issues as privacy and freedom of expression. Therefore we have initiated the establishment of Industry Dialogue, with participation of major industry players, including equipment producers and service providers, to have a more efficient discussion between industry and governments on these issues. What do you see as the main opportunities for growth and expansion of telecommunications in a country like Nepal? As mobile penetration in Nepal has only reached 60 per cent, organic growth by adding more subscriptions is still an opportunity. Mobile data and new offers matching the customer needs are another. "We are now building capacity"